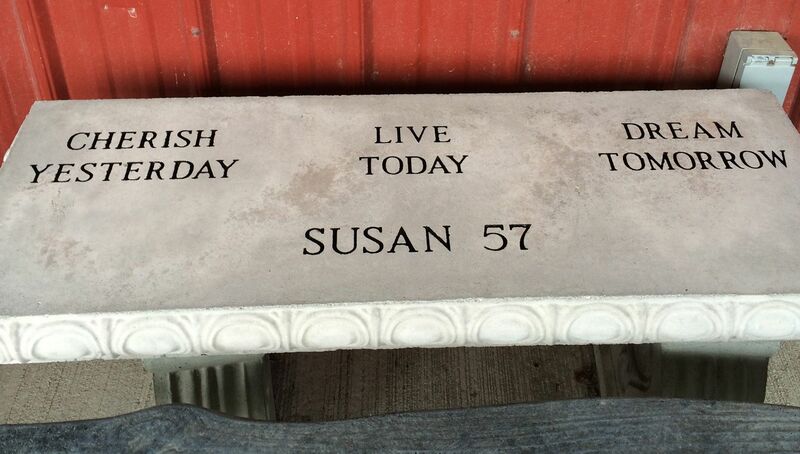 The Cement Barn is able to have any of our Outdoor Patio Bench personalized with a custom saying of your preference. 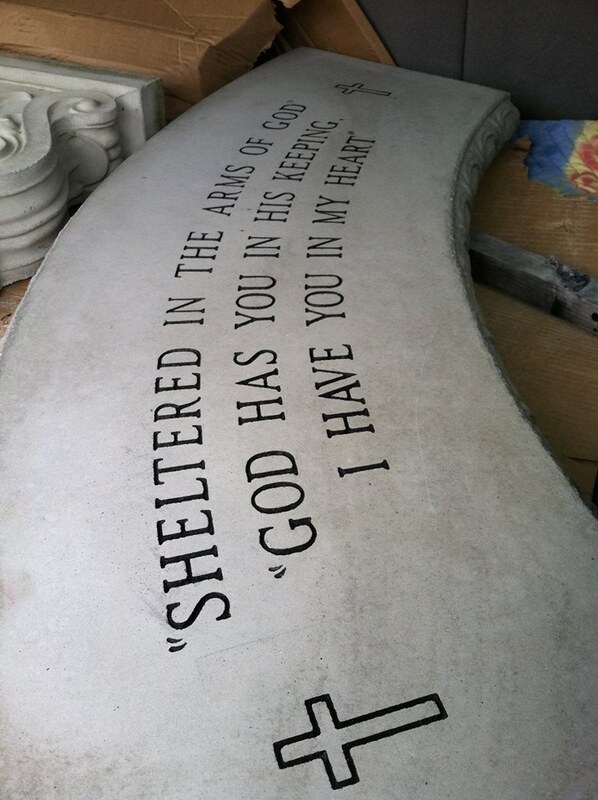 The personalized engraved benches will be professionally etched in the same way as a headstone from a monument company. The engraving will be professional and will not wear off over time! The letters that will be engraved will be 2″ tall. A standard 42″ long bench whether it is curved or straight can accommodate normally 3-4 lines of engraving. This will depend on what you would like to have engraved on the bench. Personalized Engraved Benches are great to place outside the door at a business, school, and also the home, whether it be in the garden or at the door step. 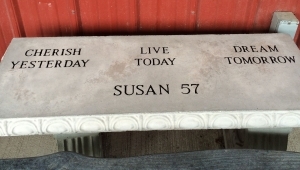 Many of The Cement Barn’s customers have had benches engraved to place at the grave of a lost loved one. 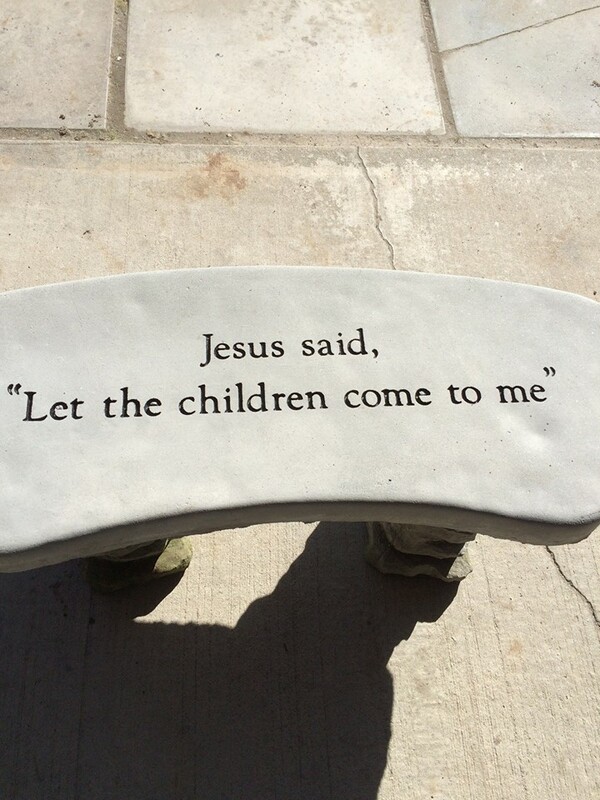 Some benches may have had a favorite Bible Verse while others may have had “In Memory Of …..”. Some benches have been placed at Churches as a memorial in memory of someone, such as the Pastor or a previous leader or member of the Church. The options to what can be done with these Benches are endless! Our pets are very special to us and we can get very attached to them. Many people will create a memorial in memory of their faithful friend. In these cases, we can do a smaller item such as a smaller bench or a stepping stone that will serve as a headstone for the pet. If you would like inquire about having a bench engraved, please contact us and we can discuss the options with which bench will work best for which saying you prefer. To take a look at all of the different benches that are offered at The Cement Barn please see Benches in our Online Catalog. Please Contact Us for pricing and/or any questions you may have concerning having a bench set up for you! The options are endless for what can be done with engraving. We are certain that you will be pleased and very proud of your bench. Shown below are a few pictures of some previous benches we engraved for customers. ⟵Helpful Winter Tips for Your Concrete Statuary and Fountains!